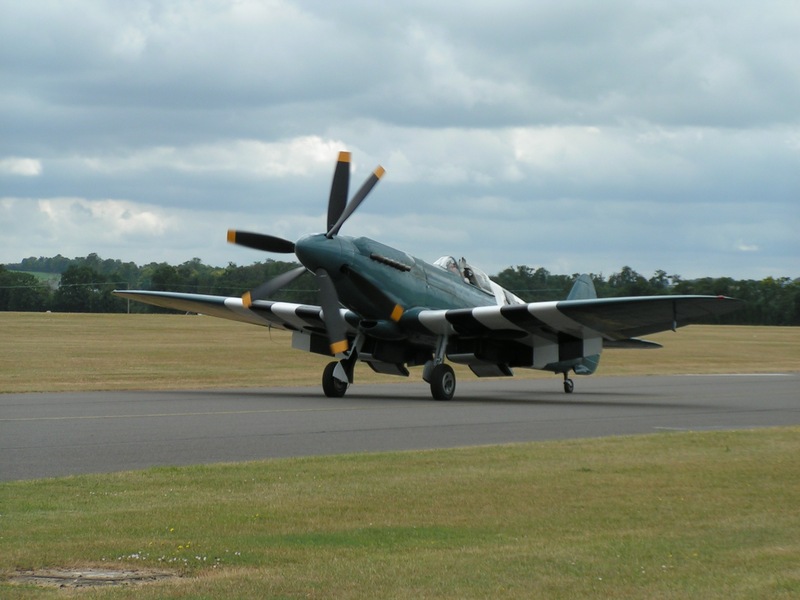 I’ve spent the last couple of months accounting for the various flying Spitfires in the country, as today marks the anniversary of the first flight, I wanted to tell a few stories that have stuck in my mind involving the Spitfire over the years. Many of you will know that I’ve borrowed the title of this post from the late Alex Henshaw’s autobiography about his time test flying Spitfires. Alex was chief pilot at Supermarine’s Castle Bromwich factory in Birmingham; as such he flew a large number of the many Spitfires produced, some of those flying today being among them. His book is a fascinating and dramatic account of what it was like to fly, test and help develop the iconic fighter, a must read for any Spitfire enthusiast. Alex was already an aviator held in greet esteem before joining Supermarine of course, having broken the record for the cape run in 1939 in his highly modified Mew Gull G-AEXF. 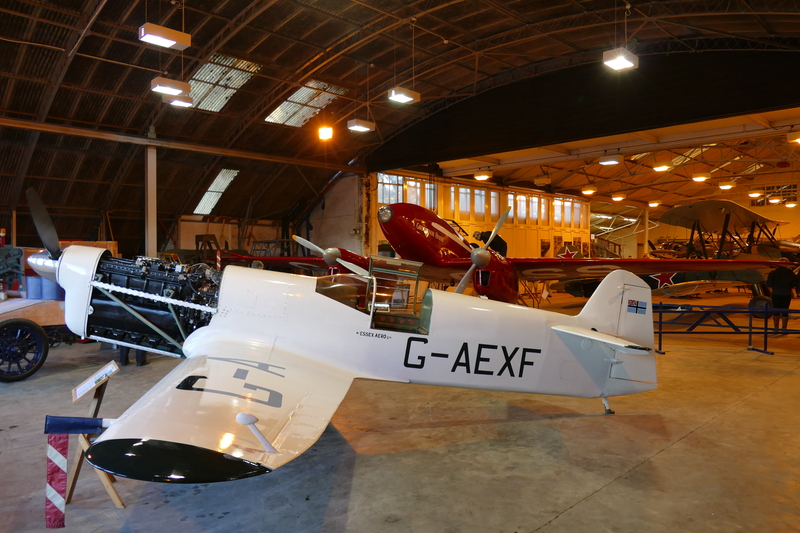 Alex’s record breaking Mew Gull seen here at Old Warden. I’m lucky enough to have a couple of memories of the man himself, if only brief ones. The first time I remember “seeing” him was the 5th March 2006, the 70th anniversary of the Spitfires first flight. I was at Duxford for an evening event organized by the Fighter Collection. A number of Spitfires had gone down to Southampton as part of the anniversary celebrations, they all returned in the early evening. Alex, pictured here in 1941. The formation of Spitfires arrived with a low run and break across the airfield. In the formation was T.IX PV202, I had a hunch based on some reading I’d done leading up to the day that in the back of that aeroplane was none other than Alex Henshaw himself. This was during my self-confessed, Spitfire obsession years, a time when I was constantly reading Mr Henshaws book and stories, so to see him in a Spitfire was an amazing experience. As the Spitfires joined downwind the crowds dispersed but we decided to stay and watch as the spitfires landed and taxied back in. 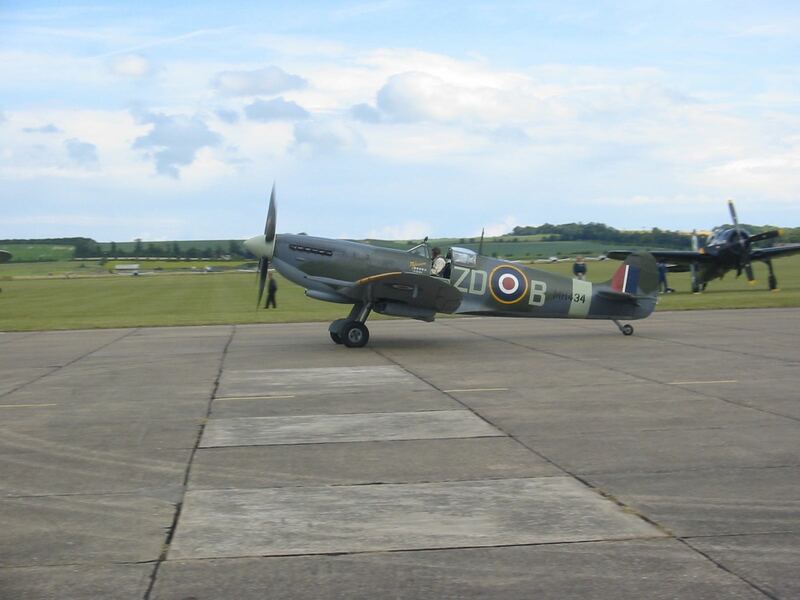 PV202 in 2014, the last Spitfire Alex flew in. I later met Alex in person at a book signing and now have a signed copy of “A Sigh For A Merlin” to go alongside my tattered, well read copy. Alex was a true aviation legend that we sadly lost on the 24th February 2007. Moving to the more recent times, to another name that is synonymous with the Spitfire, Ray Hanna. I only consciously discovered Ray Hanna at the Chailey D-Day airshow in 2004. 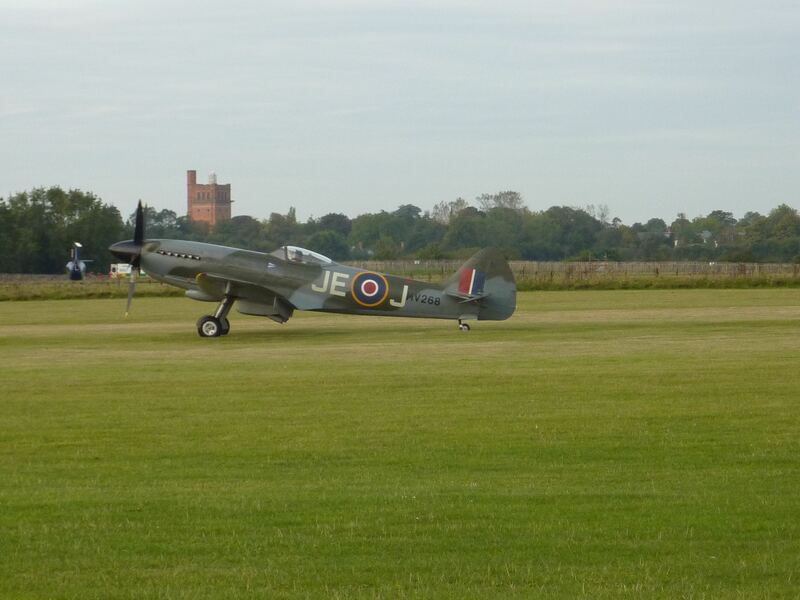 I remember watching MH434 roar down the runway, lift up, raise the gear and the in trademark Hanna fashion the spitfire dropped back down as low as seemed possible, before disappearing behind trees along side the runway. Sadly of course, Ray passed away on the 1st December 2005, so I only managed to see his displays for a couple of seasons, but I’m sure I remember every one. Biggin Hill of 2005 springs to mind, where Ray displayed MH434 closing the show, ducking in and out of the surrounding valleys with the airfield silent. I remember a short solo routine performed at Legends 2005, a solo spitfire at Legends was not a common sight and I swear the clouds cleared for those few minutes, this proved especially poignant as it was to be Rays final Legends. From a couple of Spitfire men to the machines themselves now, I’d like to focus in on some of my personal highlights. I have already waxed lyrical about Mk IX MH434, and will continue to do so, to me it is the finest incarnation of the Spitfire, the longer nose brought about by the slightly larger Merlin engine, combined with the cannons on the wings serve to make the ultimate balance between beauty and aggression. To me the proportions of this mk are just right. The so-called “baby Spits” are having something of a resurrection of late, with 4 MK Is currently flying and with more Vs on the way. 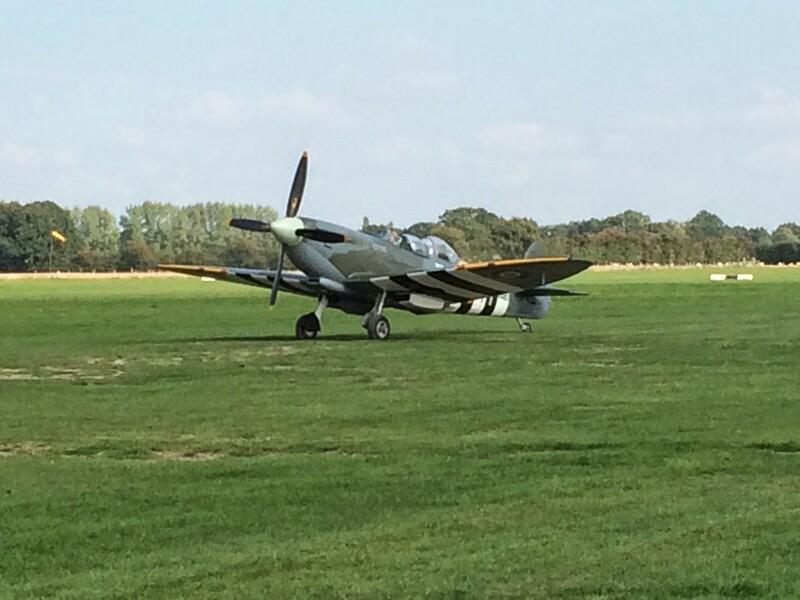 Two in particular are gems of the Spitfire community; N3200 and P9740 were both recovered from beaches in France. 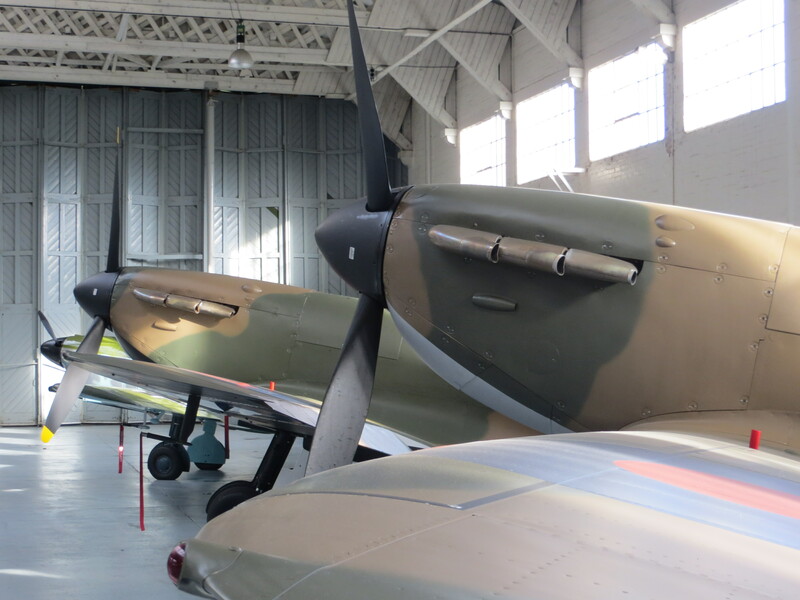 Painstaking restoration has brought them up to exceptional standards, arguably two of the most perfectly restored examples in the world.This resurgence means that we were treated last year to the sight of 4 Mk.1 Spitfires in the air together, something that would have been unimaginable a few years earlier. Both of the wonderful recent Mk 1 restorations share the hangar at Duxford. While not retaining the graceful looks of their older siblings, the Griffon engine spitfires still have something of that magic about them, combined of course with raw power. There have been a number of interesting examples over the years, Stephen Grey’s clipped wing MK XIV, complete with bubble canopy aided streamlined looks, has to be one of the more potent looking Spitfires ever built. TFC’s Mk XIV with its bubble top canopy. Then there is Spitfire Ltd’s MKXVIII, which brings an even later mark to the table, finished in a striking silver scheme with red spinner, it evokes images of the final Mks of Spitfire, as well as providing a welcome change from the usual camouflage. The imposing colour scheme of G-BUOS. Perhaps the most interesting take on the late mark Spitfire was Christophe Jaquard’s MkXIX PS890, which, during its first few visits to Duxford, still had a Griffon engine from a Shackleton up front, featuring a contra-rotating propeller. PS890 with the Shackleton front end. This was a modification fitted for an attempt to break a climb to height record in the states and was kept on the aircraft for its first couple of seasons in Europe. 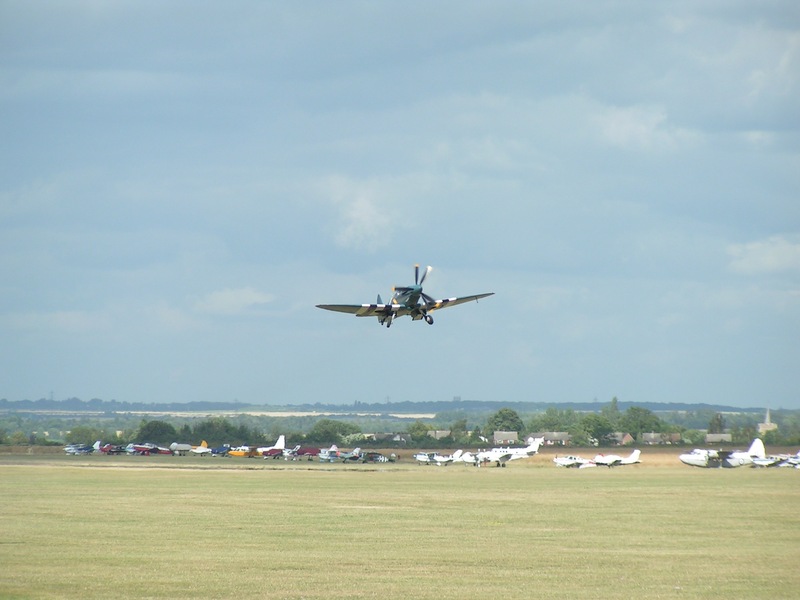 The performance seemed phenomenal, without the worries of torque swing on take off, it was notable how quickly the aircraft got airborne and climbed away, leaving the other spitfires in its wake. While I know it had to be returned to stock condition one day, part of me still wishes they’d kept the contra props! The contra-rotating props really helped this Spit leap into the air! I’ve had some great memories with Spitfires over the years, of course my favor has moved away from the aircraft now and again but it has always captured something for me. 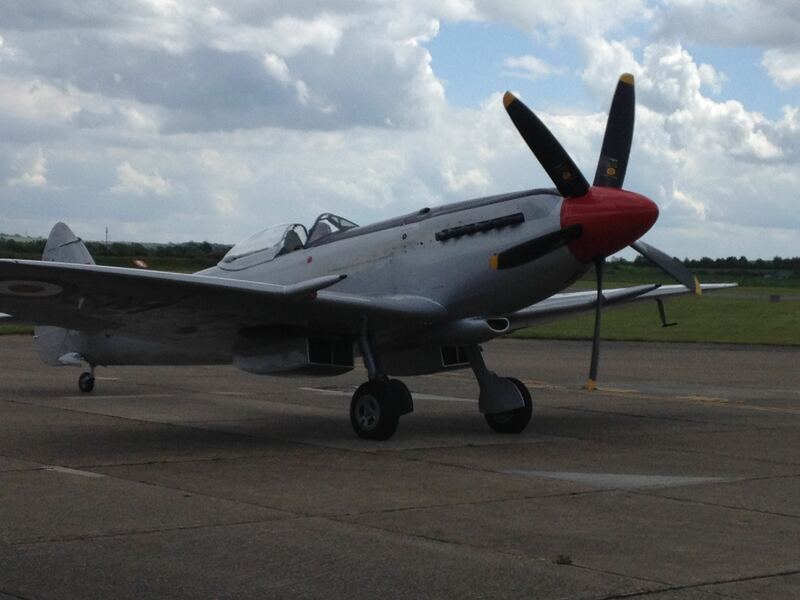 It seems there is nothing, Mk I or Mk XIX, quite like a Spitfire. As interesting G-BOUS camouflage is, I sometimes miss G-FIRE all-red days. There is something in the braveness in painting a Spitifre in anything other than “standard camouflage” that I appreciate! Regarding Ray Hanna, you shouldn’t miss the Piece of cake series. In my opinion, the flying scenes in this serie is perhaps the best filmed with the Spitfire. There is something in the casual and nochalant ways the Spitfires are handled that is truely magnificent!